Hewitt serves the Nixa area and surrounding communities including Republic, Billings, Marionville, Clever, Crane, Ozark, Rogersville, Brookline, and Springfield, among others. We don’t just offer well drilling and pump installations, we also install geothermal systems for clients and offer routine and scheduled maintenance programs. Call us for your water well and pump needs. 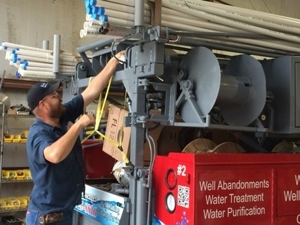 We’re also happy to provide you with excellent service that has made us a leader in the water well and pump business. Call today at (417) 374-0179. Copyright © 2018 welldrillingmo.com All rights reserved.